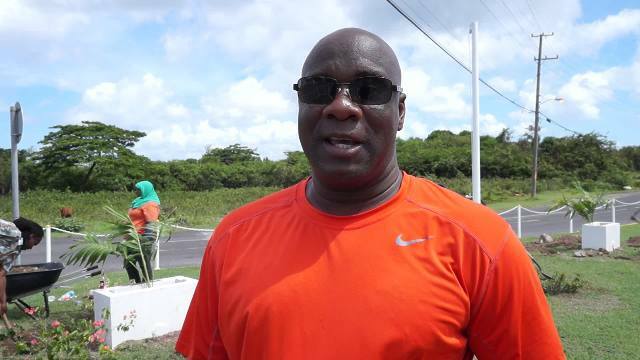 NIA CHARLESTOWN NEVIS (May 18, 2016) – A collaborative effort between the Nevis Housing and Land Development Corporation (NHLDC) and TDC, has brought some enhancement to a key intersection at Pinney’s leading to Charlestown. Hon. Alexis Jeffers, Minister responsible for Lands on Nevis and Chairman of the NHLDC Board of Directors, told the Department of Information on May 14, 2016, that the small but significant project is an effort to beautify and transform the area to provide a fresh look and feel for the public when accessing Pinney’s Industrial Estate. “We have the brand new Social Security building that just opened. TDC continues to expand and enhance their business here, the Artisan Village has been relocated just next to the [Nevis] Craft House, so this would be an area where persons traverse on a regular basis and I believe, the enhancement that we are doing will add to the flavour here at Pinney’s,” he said. The Minister used the opportunity to commend TDC for adopting the area over the years and caring for it. He also commended the staff members who had showed up to engage in flower planting there. According to Mr. Jeffers, the Pinney’s project was not the first undertaken by the NHLDC. He pointed to the beautification of Charlestown at the War Memorial and D.R.Walwyn Plaza, enhancement of the Samuel Hunkins Drive, and the arrival and departure lounge at the ferry terminal. He said the intention is to bring some improvement to Charlestown and its surroundings. However, Mr. Jeffers expressed hope it would be duplicated by those in communities throughout the island to beautify their surroundings. He suggested painting an area or planting trees and flowers for beautification. He reminded that in the face of climate change, plants are critical to the island’s ecosystem. 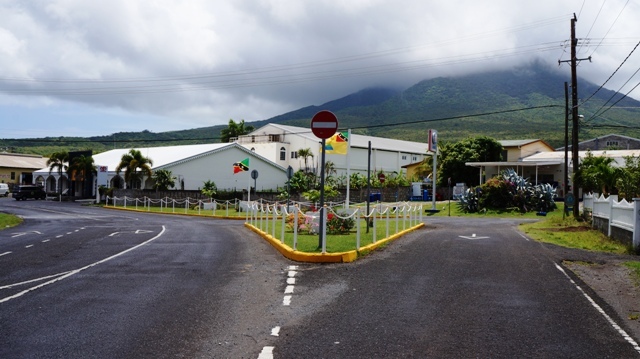 He said Nevis is ours to protect and although enhancement projects are often done with visitors in mind, ultimately, the onus is on all who live on the island to care and cherish and take pride in it.